Water is clearly a vital resource. Collectively, we recognize the importance of this element, and yet we seem to often waste or neglect the quality of the water being used in our homes. This reality is a result of rapid urbanization in some areas where access to clean water is not as reliable as it should be. 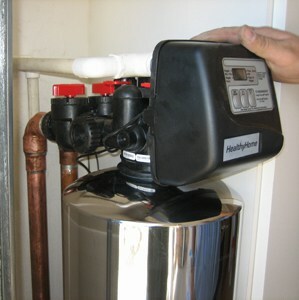 To address this issue, finding the best water softener system for your home is often the solution. Basically, a soft water system is a type of device or appliance which uses a type of regenerant agent to make the water soft. According to experts, calcium, magnesium, and (sometimes) iron deposits are the main causes of hard water. They tend to stick onto the pipe’s surface and eventually affect the pressure of water being supplied to homes. Aside from that, these minerals are known to cause water spots and limescale formations which usually affect our coffee makers and dishwashers in our kitchen. And if you are aware of these stains, then you already know that they are very tough to remove. The Fleck 5600SXT unit is our top pick for the best digital metered softeners for medium-large households. With digital display system and unique specifications, setting up and running this system is a breeze. Being a salt-based softener means it does call for regeneration, but Fleck has done a commendable job of automating this process. In terms of softening hard water, this model uses ion exchange process to remove magnesium and calcium. These two minerals are known to cause scale, which is certainly bad for both you and your appliances. Fleck 5600SXT has an innovative regeneration mechanism. It measures average water usage and regenerates the content of fresh tank when needed. This helps with money and water saving. It allows you set various parameters to fine-tune it to your personal preferences. Thanks to its accuracy, the consumption is at a bare minimum. Its tank is quite large, but it is compact enough not to occupy a lot of space. With a capacity to hold 250 pounds of salt, the tank measures 15 by 17 by 33 inches. There is an inbuilt safety float in the reservoir to prevent overflowing and overfilling. While some other tanks may require professional intervention, installing Fleck 5600SXT is a breeze. You can assemble it in a short time by following its exhaustive manual. 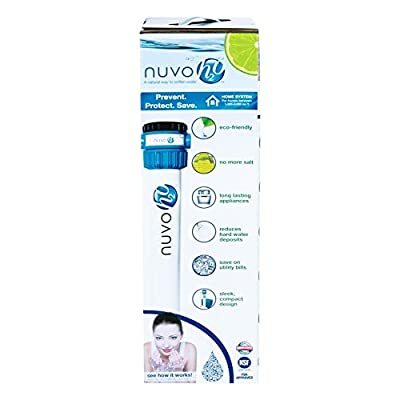 Nuvo H20 is an excellent softener system that runs without salt. The salt-free systems help in the prevention of limescale buildup which can be a huge threat to your plumbing system. The unit uses Template Assisted Crystallization method to descale as crystallization assists in barring minerals from clinging to pipes. The system features an ergonomically sound and compact construction that is suitable for small apartments or condo owners. Surprisingly, the salt-free system does not use sodium or electricity. Instead, it uses citric acid to balance the PH level of water and also deal with scale build up. The NuvoH20 Studio System is well suited for homes with approximately 1000 square feet of space where it can produce great tasting water. A notable fact with this system is that the water retains the essential natural minerals such as calcium and magnesium. The system runs on a 12gpm with 1-inch ports and can effectively treat 25, 000 gallons of water. The unit has a capacity of 50, 000 gallons of water which make it capable of operating 2000 square feet household areas. It has 20-inch cartridges to ensure that limescale doesn’t damage your systems. Note that you just need to replace the cartridges after six months of use which is an easy task. The good news is that people who care for the environment can now acquire this unit as its eco-friendly. The slim design, as well as its lightweight, makes it portable and easy to install. May not be suitable for too much hard water. The cartridges may not be long-lasting enough. 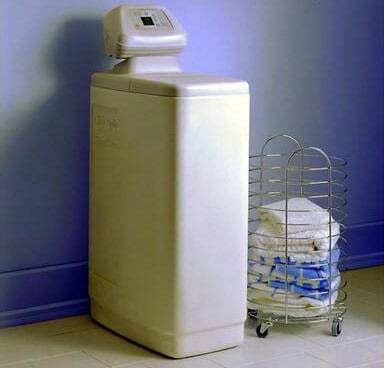 This is one of the best water softener systems for large households. 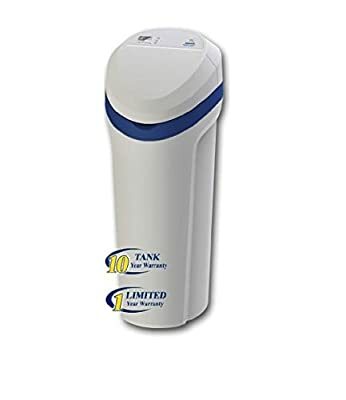 Unlike most salt-based systems on the market, this unit comes with a single tank design making it compact enough for a utility area or small closet. 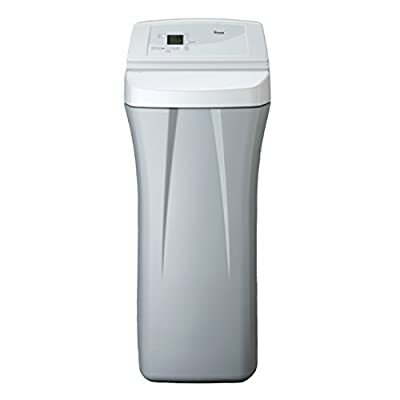 Made by Morton, one of the leading brands for making water softeners on the market, Morton System Saver M30 offers System Saver technology, which helps your washing machine and laundry appliances work more efficiently with detergents and soaps. This, in turn, saves you time and money. Besides this, the system uses advanced technology to predict your water consumption based on your home’s water usage needs. This allows it regenerate at the exact time you need soft water. To ensure your water needs are taken care of in the event of power outage, Morton System Saver M30 offers technology designed to sustain it for up to eight hours without electricity. This system features look-ahead technology which allows it use as little salt as possible and automatic regeneration depending on your water consumption. General Electric or GE is one of the most trusted names when it comes to home electrical appliances. The GE GXSH45V is yet another amazing appliance from them and has been offering efficient and reliable service to its users. The softener takes around 140 minutes to finish the entire regeneration process. The GE GXSH45V uses Smart Soft Technology which is designed to monitor the water consumption of your household. This means that it can deliver water based on demand. In addition, the feature helps in saving water consumption due to its dynamic nature. The model can hold up to 45, 100 grains. It has a softening efficiency of 10 ppm and 169gpg hardness removal. The salt capacity of its tank is 230 lbs. and has an inbuilt blending valve which offers the option to choose a preferred water softness level. This is undoubtedly one of the best hard water softeners as it comes with amazing salt saving functions which help in reducing salt consumption. Compared to other models of GE, the GXSH45V can save up to 35% less water and has easy to use controls. If the salt water goes low, the model has an indicator for the same. Handy features including a programmable operation, indicator lights, and an alarm offer a hassle-free operation. The capacity of this unit and its convenience features make it ideal for families of up to 5 people and more. This is a perfect water softener alternative for both homes and businesses. This softener will help reduce the limescale of your tap water. It features plastic pipes which makes it easy to install. Moreover, it softens water without altering its composition meaning that it retains healthy minerals. 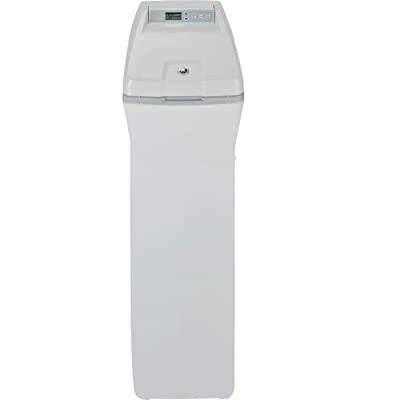 With a 12 month, 100 percent money back guarantee and lifetime replace or repair warranty, this water softener is one of the best in the market. It comes at a bargain price making it one of the cheapest digital metered water softeners on the market. The Whirlpool WHES30 30,000 Grain capacity softener gets rid up to 105 gpg. of hardness from your water supply as well as nine parts per million of iron which is quite impressive for a softener. The softener features a resin bed with a total hardness capacity of 30,000 grains. It also features Demand Initiated Regeneration to enhance the softening of the water. With this feature, the Whirlpool unit helps monitor the water usage and only regenerate when you need it to; this minimizes salt and water usage. It’s not like the older models which regenerate based on a set cycle which can result in unnecessary water and salt usage. The water softener also comes with a salt saving technology to ensure that your home is supplied with soft water all the time while also ensuring that less salt is used. Whirlpool is arguably the most efficient in the industry as per salt usage. If your family has few members (around 5), this is an ideal option. It features 6th Sense Technology which will automatically calculate the amount of water and salt required to regenerate and only use it when necessary. The System Monitor is yet another powerful feature to enable you to know when the system is operating properly or when salt level is low. The whirlpool unit is NSF certified to ensure that users do not have to experience hard water symptoms such as build up on faucets, spotting on dishes and rusting of appliances. It also comes with 1-year parts warranty as well as a system warranty of 2 years if you purchase three bottles. The unit is designed and engineered in the US. Can cater for households of 1 to 5 people and removes 8ppm of clear water. The Fleck 9100 SXT softener uses a dual tank system to enhance maximum efficiency in softening hard water. 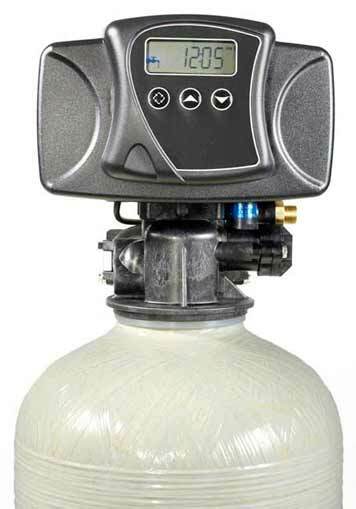 The heavy duty 64, 000-grain water softener is designed for home and even commercial purposes. The twin tanks work in an alternating fashion and will ensure that you use just soft water anytime. 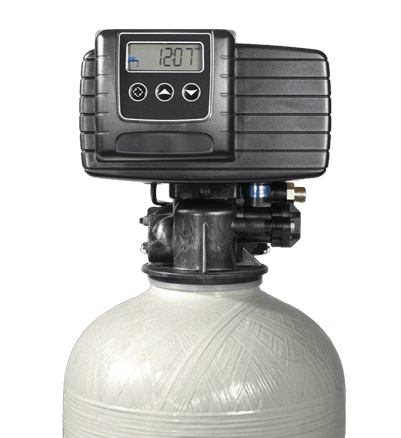 Each tank contains a resin measuring 1.5 cubic feet capacity and has a 12 gpm maximum flow rate. It’s an ideal solution if your water hardness is high. The softener design boasts an up-flow backwash to enhance cleaning of the resin bed. The twin tank system is also helpful in saving salt usage. The Fleck unit also comes with other convenient features such as LCD control panel as well as a power back up. An On-Demand Flow Meter is yet another amazing feature included in the Fleck 91SXT Twin Tank water softener. The softener design boasts an up-flow backwash to enhance cleaning of the resin bed. The regeneration of resin depends on the family’s water usage and hence helps in measuring the water usage. Additionally, you do not have to worry in the event of a power outage as a 48-hour internal capacitor offers enough power back up. Each valve in this system is made of glass filled Noryl composite material with each made to withstand years of uninterrupted use. The system carries five years of warranty on its control system as well as a ten years warranty period on the twin tanks. Has twin tanks for continuous soft water. How can you tell if you have hard water at home? One of the simplest ways of detecting hard water at home is usually done while taking a shower. If you notice that the water coming out of the shower is kinda rough on the feel and the soap you are using is not lathering as expected or does not lather well, then you can somehow say that hard water is being supplied in your area. Another method of detecting hard water is by inspecting the drains and shower heads in your bathroom. If you notice soap scum building up in these places and is very hard to remove after several cleaning, then you can conclude that these stains are caused by hard water. Furthermore, if you see the same scum buildup in your kitchen appliances, this is a sure indicator of hard water and you really need to deal with this problem by conducting a water softener installation as soon as possible. Plumbers and plumbing companies consider hard water as an expensive nuisance because it has the ability to ‘eat’ into our finances without even realizing it. At first, the effects of hard water may seem negligible and insignificant. But over time as the scale buildup begins to interfere with the drainage and the pressure of the water, the money being spent as a result of frequent repairs also increases. And if these stains and buildups are not addressed soon, chances are it will also affect the performance of our household appliances. In other words, we may have to replace our washing machines and dishwashers sooner than we think because they are not functioning the way they are supposed to. And so, it is highly recommended to install the best water softener at home because it has the ability to remove ‘hard’ minerals in water which often causes the decreased availability of water in your area, prevent plumbings from being clogged, put a stop to scale buildups in water heaters, and remove that funny taste in water (in some cases). As more and more people are becoming aware about the negative effects of hard water, the demand for water softener installation in recent years has also significantly increased. 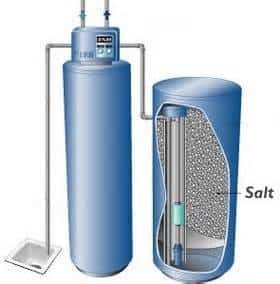 Today, there are various types of water treatment devices being set up, but they usually fall under these 2 types: The salt based water softener and the salt free water softener. This is one of the most popular types of water softeners being used nowadays. In this device, salt or sodium chloride is utilized as the softening regenerant for treating hard water. Since then, sodium has been considered as one of the most (if not, the most) effective agents in the softening process for ion exchange devices. The water softener salt is loaded up inside the brine tank usually in a form of pellets so it can charge up all the water softener resin with sodium ions. Once the recharging stage is complete, the beads will then strip the water of all the calcium and magnesium contaminants and replace these minerals with sodium. Once sodium is added to the water, it will immediately change its texture from rough to smooth and therefore earning its name “soft water” because of this result. Majority of the houses and buildings in the country today use salt based water softeners. But along with its popularity also came the controversy since a lot of health conscious people are raising concerns about the possible risks of drinking soft water with considerable traces of salt. And although no significant findings can prove this claim about the correlation of treated water to health risks, there are still a lot of believers who think that drinking softened water can cause potential harm especially to those individuals who are already at risk of kidney and heart related diseases. That is why some areas in the United States choose to regulate or totally forbid using salt based water softener system because of this much debated issue. And since the cost of replacement is not cheap, homeowners around these areas are forced to find a softening substitute for regenerating soft water. Fortunately, potassium and hydrogen regenerants were being introduced in the market. These agents are considered as a healthy substitute for softening since potassium is a necessary nutrient to keep our bodies healthy. On the other hand, hydrogen (or hydrochloric acid) has earned its reputation of being a cleaning agent ever since and is non-harmful to humans if used in small amounts. And if you’re talking about environmental concerns, potassium, and hydrogen regenerants are guaranteed eco-friendly, which makes them a more efficient solution to address any issues with the use of ion exchange soft water system devices. 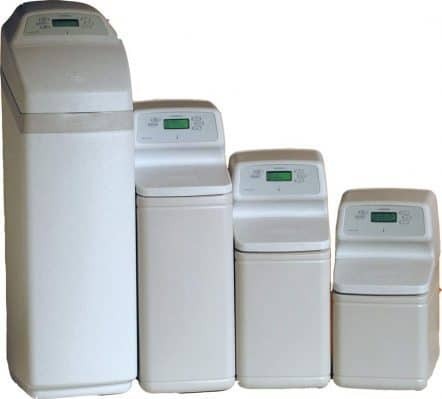 Salt free water softener appliance are also called as no salt or salt less water softeners because their process of softening water does not include any removal of any hard water minerals, but rather make use of other methods in filtering hard water. Salt free water softeners utilize a bunch of technologies because most of these devices were invented by proprietor companies. 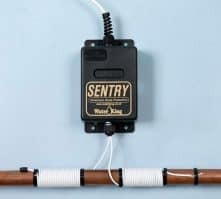 Magnetic (Utilizes magnets which are attached outside the pipes to form a magnetic field which can alter the overall structure, morphology of particles, and composition of hard water as it passes through the magnetized pipes). 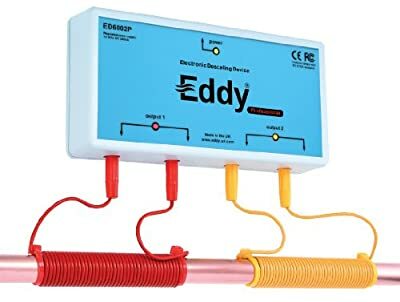 Electronic (This device will send electronic pulses to disrupt any suspended calcium and magnesium particles in the water to change the chemical makeup of these elements so it will not cause scaling and any other problems associated with hard water. In other words, this device effectively softens water without going through the usual process). Chelation (Utilizes a type of chelant or sequestrant agents, mostly citrus based agents so their molecules will bind with hard water contaminants and prevent them from accumulating precipitates in your pipes, on your shower heads, and drains). How Do Water Softener Systems Work? Water softeners undergo a certain process to treat hard water. In this process, the supplied water will pass through a tank filled with charged ion resins. These rows of resins are usually charged with sodium ions (which is often considered as the most effective agent in treating hard water) or potassium ions to effectively “trap” all the unwanted scum behind. 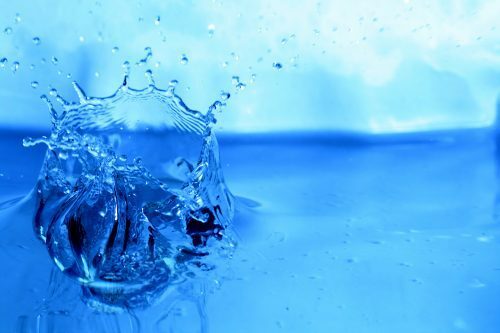 As water passes through the water softener resin bed, the sodium or potassium ions are released into the liquid while chemically attracting all the calcium and magnesium mineral ions into the resin beads at the same time. This method of exchange is referred to as Ion Exchange and it is very necessary to make the water soft. On the other hand, salt-free devices make use of different methodologies for softening water more or less like the ones being mentioned above. And although these devices are pushing its way into the mainstream market, the technologies they employ are still highly controversial due to the lack of conclusive evidence as a result of conflicting findings during scientific experiments. Nonetheless, salt-free softening systems have earned a following and are not likely expected to go away from the scene anytime soon. Hard water is very common nowadays. And though some areas in the country are being supplied with hard water, the amount of mineral elements suspended in water usually differs from place to place. And this very aspect usually affects the hardness of water which give use the reason why some areas have high levels of hardness in water while some have less. Knowing the hardness factor is important since this information can help you pick the right water softener system to install. And in order for you to check the hardness of water in your area, you will need to use the right tools to get the job done. 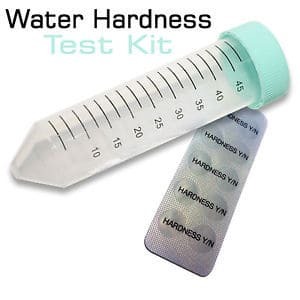 Most experts recommend using a water test kit for determining the hardness of water. This kit is comprised of test strips or test tablets which changes in color upon coming into contact with the hard water sample. The color change will indicate the level of hardness in the water as indicated in the test chart. Water test kits can be purchased at any supply stores, hardware, and it can also be acquired at any local water testing company. 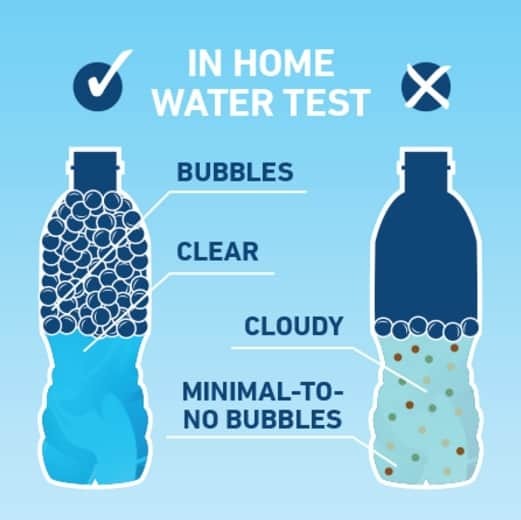 And if for some reason you cannot secure any water test kit, there is still another way of testing the hardness of water at home and that is by doing this method called the “soap test”. NOTE: The soap test indicated above will not give definitive results compared to a water test kit. It can only produce an estimate or more or less an ‘educated guess’ about the level of hardness of water that is existing in your area. If you are seeking for a more reliable answer to battle out your hard water problems, then it’s highly recommended that you buy a water test kit as soon as possible so the results you have gathered will lead you to best water softener to install at home. And make sure to prepare the plumber’s phone number just in case you might be facing any troubles with the installation. Open the box of the soft water system and read the manual before doing anything – Analyze all the details and commence the process once you are ready. Turn off the main water supply of the house by twisting the main switch valve – Then go to your water heater and unplug this device as well. Then turn on all the faucets in the house so the remaining water in the pipes will be fully drained. Go to your water lines and try to open all the plumbing fixtures by using your tools – Drain out all the remaining water until no trace of liquid is flowing inside the pipes which can interfere with the water softener installation process that you are about to do. Do the same for the pipes you have outside. 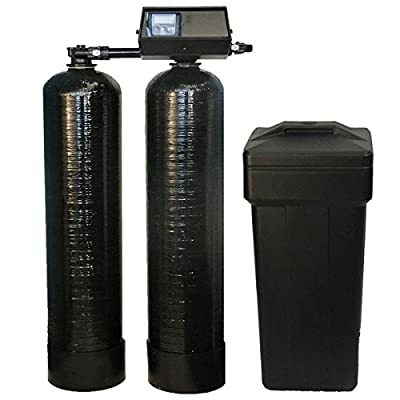 Determine the best place to place the best water softener you bought – Ideally, softening devices should be located at an area where it is dry, near to the drain, and the surface of the floor is leveled flat. If in case you bought a 2 tank system, be sure to place them one after the other with the brine tank on one side and the resin tank on the other side. Once the device is in place, look for the part in the mineral tank where the distributor tube is to be inserted – Then, open the top end of the tank to put the screen intake at the bottom (somewhere at the center). Tape the tubes using your masking tape to prevent resin beads from entering into the distributor tube – Make sure that the tubes are sealed tight otherwise the beads will go with the flow of water and possibly block the pipe linings over time and this may compromise the quality of soft water being supplied in your house. Pour enough gravel into the tank – Put it in very slowly using the funnel going through the tank just enough to cover the screen intake. Attach the top basket to the control valve of the device all the way to the mineral tank – Take a generous amount of lubricant and use it to lubricate the inner ‘O’ ring which attaches the head to the opening of the tank of water softener system. The hole in the control valve should fit perfectly on top of the distributor tube. Tighten the valve by turning it clockwise. Connect the bypass valve to the main control valve right to the point where the arrows are pointing – Align them properly. Use clamps and screwdrivers to tighten areas that need to be tightened. 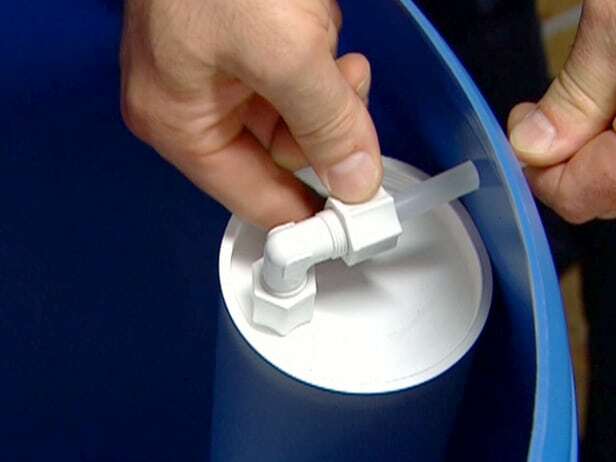 Attach the system’s water connections to the part where the bypass valve is located – Use a 3/8 “ of plastic tubing into the fitting of the soft water system brine tank then run it down to the drain. Plug in the control valve and pour at least four gallons of water into it brine tank – Once the tank is partially filled with water, add about 40 lbs. of water softener salt into the reservoir. To check for the ideal level of salt and water inside, the contents should be at least 4-6 inches away from the top portion to maintain optimal efficiency. Adjust the amount of softening regenerant if needed, but make sure that it does not exceed more than 25% of the tank’s overall size. Now that everything is almost set, it’s time for you to perform the first service cycle – Set the water filtering device into the backwash stage and place the bypass valve into the service position. Turn on the main switch valve of the water supply in your home and open the supply valve of your water softener system at least 1/4 of the way to allow air to be released from the line going to the drain. 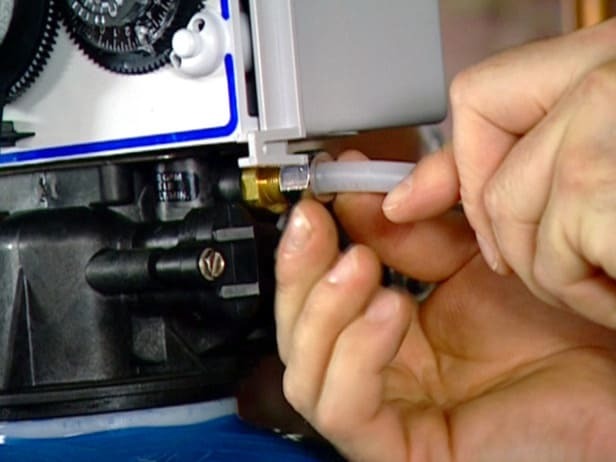 Gradually adjust the opening of the supply valve – Check for any intermittent flow of water. This means that air is still inside the pipes and it needs to be released to the drain. Once you achieve a steady flow of water, that’s the time you are going to turn on the supply valve all the way through. Run a full backwash cycle and test the quality of water – This process usually last about 15 minutes to 1 hour depending on the model of water softener that you have. Just let it run through and check for the quality of soft water that is being produced. If the end product was able to meet your expectations, then you definitely did a good job! The next thing you have to check is the regeneration process of the device. 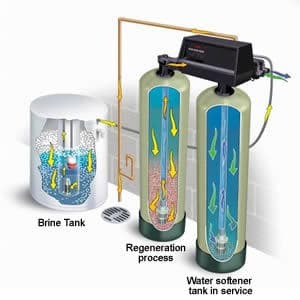 If this cycle was completed with no issues, then it means that you are able to buy the best water softener to use and is now ready to give you soft water whenever you need it. Nowadays, water softening is considered more of a necessity than a luxury. And since the demand is increasing exponentially, it’s a must for every consumer to know these companies who excel in the manufacturing of water softener systems. One example of which is Fleck brand who have been known to produce high quality softening devices like the famous Fleck 500sxt model while other brands worth mentioning are Morton, Kinetico, and GE. To know more of the top brands in water softening today, be sure to check our Buying Tips For Water Softeners article. Just keep in mind though that if you are going to buy a device that’s too small for the required usage, you are going to pay more on the electric consumption as the system will be regenerating more often than the usual. On the other hand, if you are going to buy a water softener that is larger than what is needed then you will pay more initially but can also help you to save money eventually as the device will regenerate less often. So choose wisely and get the best water softener to meet your needs. Water Softener Systems Or Water Conditioner? Water softeners refer to a piece of equipment that is used to change the quality of water being used in a particular area. Then again, a water conditioner is also a piece of equipment that filters water and therefore improving its taste. Now most of the time, customers tend to classify these appliances as one and the same when the truth is they are totally different in terms of functionality. In this section, we are going to tackle the specifics of a water softener and a water conditioner and identify the things that make one different from the other. A soft water system goes through a process of water softening where all the hard minerals in the water such as calcium and magnesium are removed using a special kind of resin that traps these minerals while releasing sodium ions in the water to make it soft. Water hardness affects the quality of water, making it less reactive to soaps and more prone to scaling. On the other hand, a water conditioner filters water by removing certain chemicals like iron and chlorine, but not necessarily hard minerals. In short, these devices don’t have the capacity to produce soft water. In conclusion, a water softener system and a water conditioner are 2 different devices used to treat tap water. And as a result, a water conditioner cannot be called a softening appliance since it does not reduce the water hardness to 1 GPG. Are Reverse Osmosis Systems To Be Considered As Water Softeners? Another popular device that is commonly used nowadays is the RO system. By definition, a reverse osmosis system makes use of pressure to filter tap water. The pressure pushes the liquid to a semi-permeable membrane to trap all the solid particles while allowing the water to pass through. RO devices work effectively, but it does not guarantee to provide softened water all the time since the filter can only sift out certain impurities. In other words, they are more to be classified as a ‘water filter’ rather than a ‘water softener’. And though they treat hard water occasionally, these devices are primarily designed for drinking water and would cost a big amount of money just to scale up these devices to accommodate your entire water softening needs. So if you are looking for a device to eliminate all your hard water problems, DON’T CHOOSE THIS SYSTEM. Moreover, reverse osmosis systems should not be confused with a faucet filter because although they both function as water filters, an RO system goes through a much more complicated system in purifying water. Overall, a reverse osmosis device is technically a water filter and not a water softener. And although it can trap water deposits from time to time, it cannot solve all your hard water problems and therefore having these devices is not practical for softening water. Since you have made it this far, I will get to the point. The Fleck 5600SXT Water Softener System is our Top Pick for a wide range of applications. 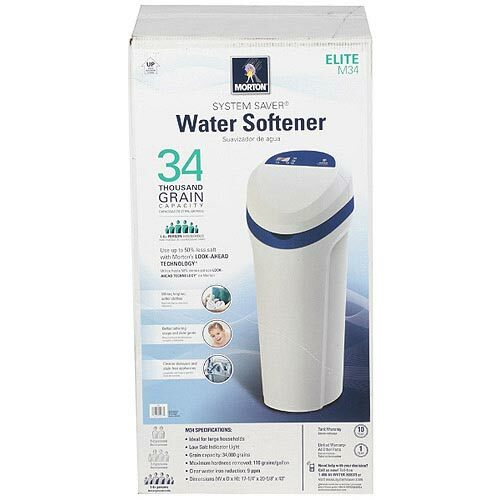 www.thewatersoftener.com is a participant in the Amazon Services LLC Associates Program, an affiliate advertising program designed to provide a means for us to earn fees by linking to Amazon.com and affiliated sites. This site provides information based on the research and opinions of our contributors. Certain links direct you to affiliate sites which may pay a referral fee. Please see our Privacy and Disclosure pages for more information.